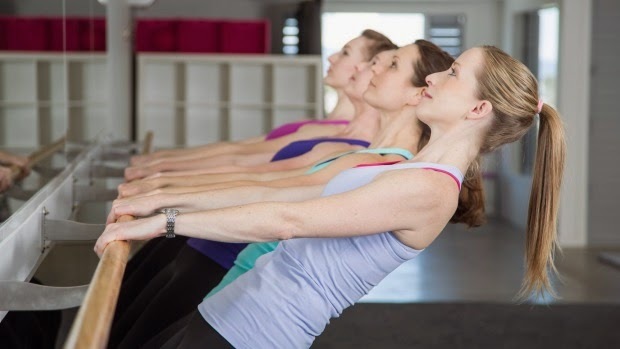 Barrefigure is a chic, boutique fitness studio located on Richmond Road that also happens to be the first independent barre studio in Auckland, New Zealand. The Barrefigure technique taught by owner Marysa Dalton (above) is a truly dynamic fusion of ballet barre work, Pilates, yoga and strength conditioning set to music. It targets all muscle groups and tones, strengthens and lengthens them, creating a leaner, longer looking physique. I’ve tried a few classes since the day the studio opened and can honestly say that the one-hour sessions are most definitely a relentless, full body workout, and no walk in the park! Having said that, while Barrefigure is high intensity, it is very low impact, meaning you’ll get a great workout without putting excessive stress on your joints. You focus on tiny isometric movements and using your own body weight to sculpt your physique. Marysa was a member of the Royal New Zealand Ballet for seven years, then moved on to guest in the West Australian Ballet in Perth, and as a Principal artist in Neglia Ballet and Dance in Upstate New York. Enamoured, she made it her mission to spread the love and become a barre instructor, and soon after moving to London was invited by Niki Rein (a former Tracey Anderson trainer) to join the team at Barrecore, the first barre studio in London. She officially obtained her barre certification in the UK and became a Master Instructor, teaching group and private classes for two years at studios located in Chelsea and Mayfair. She has launched with a signature barre class and a beginner’s option, both of which are a fusion of her first two loves - ballet and pilates - and inspired by both. “If you don’t have a background in either it makes no difference though,” she says, “as I keep classes small so I can demonstrate each and every move and check in if people are doing them correctly.” She caps classes at 17 participants and is the only teacher on board at present, and says that - depending on what type of other movement you include in your life - you can see real results attending around three classes a week. As well as teaching classes she takes private lessons and also welcomes private groups for a super motivating experience, and there are plans for a Barrefigure boot camp and a more dance-focused class too.